York City midfielders Josh Carson and Tom Platt have signed new one-year deals. 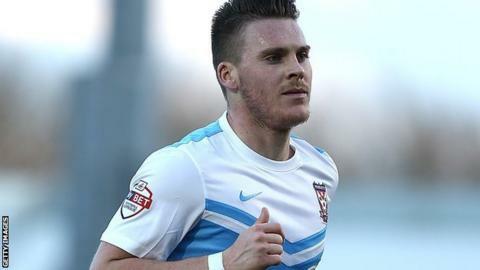 Carson, 21, joined the League Two side from Ipswich in September 2013 and made 23 appearances for the Minstermen this season. Platt, also 21, made 22 appearances for Russ Wilcox's side in 2014-15. The club are still waiting to hear if veteran goalkeeper Michael Ingham, 34, will sign the new deal he has been offered.